To me that toy kind of looks like a Sprite mixed with a Popple mixed with a Sesame Street Honker. Thanks Erica I wonder if any more then these three were made , or that some one has a mint one on a card some where. Sorry mine is not for sale, but it is cute. I found it at an antiques mall I am hoping at some point more information on these will be found. I have no idea what these lil' buggers are (from) either, but they sure are interesting! I first came across Zoomernauts while searching 80's cartoon PVC figures on Ebay. I was listing a bunch of 80's PVC figurines of mine, and doing price comparisons, when "ZOOMERNAUTS" came up in the related item searches. Curious, I checked them out, and tried to research them, finding them to be extremely obscure. So, of course, I had to have them, lol. I placed my bid for these 7 lil' guys, starting at $10.00. Fighting for potential ownership amongst only one other Ebayer interested, my bid of $143, finally won the lot. Perhaps I'm crazy. Yes, I'm crazy. I don't even know what I'm bidding on, and I threw away nearly $150 on them. But I love them, I'm happy and proud to own them, and they remain in my collection, still completely obscure and rare, still carrying my curiosity. Ever since my exciting find, nearly a year ago, I’ve been keeping my eye out for Zoomernauts. No luck. None showed up. Anywhere………… UNTIL THREE DAYS AGO!!! I am soooo excited to be adding this to my collection, soon. I Still have no idea what I own, and I still fear they might come alive and eat me in the middle of the night, but, rarity is worth that, I suppose. If anyone ever DOES perhaps find out why/what for, the reason these were created, I’d love to know! So far, my perception tells me they’re just some random, cute creation, made by this Graphics International company. They appear to have just been a stuffed animal manufacture in the 80s, producing random stuffed toys. 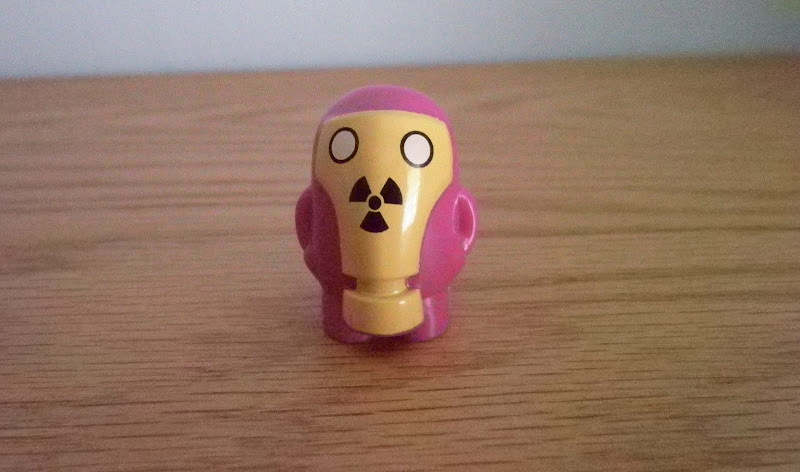 These Zoomernauts are the first and only Plastic figures I have ever seen by the company. Weird. I was very surprised when I found a stuffed animal modeled after one of the characters!! They're so... homely! They're really ugly and fluffy and I just want to collect them all and put them on my (nonexistant) shelf with the rest of my collection. Going to keep an eye out for them as well. I will tell you if I find out anything! If anyone is looking and can afford. retardedtoast Nice find on ebay. I paid 1.50 for the one I found at an antiques mall. I have never seen another one. I wish I could find one MOC some day. I will post a new photo some other time. I saw another one on an online marketplace but no other info. Not sure if this is of any help, but Graphics International apparently also produced toys on behalf of other companies. For example, they produced some plush toys of the Shirt Tales characters for that line's creator, Hallmark. Could the Zoomernauts have been greetings card/impulse gift item characters, perhaps? 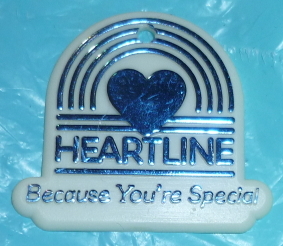 This Heartline branding was used for multiple gift items manufactured/distributed by Graphics International. Also, their US base of operations was in Kansas City, Missouri, if that helps further.